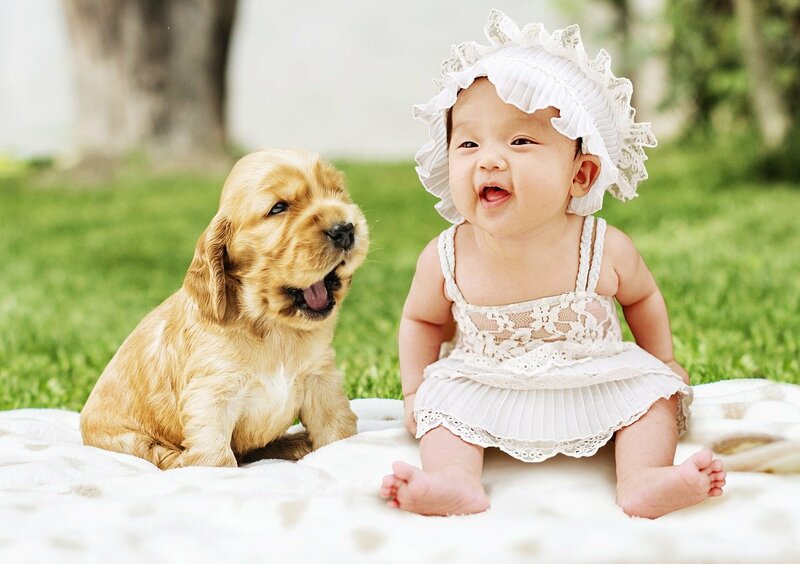 Perhaps you are new to the puppy world and are excited to take pictures of your newest little fur-ball. Or maybe you are a seasoned dog lover and looking to catch a few classic portraits of your aging canine. Or perhaps you have a litter of adorable little puppies and are wanting to showcase them to the world. 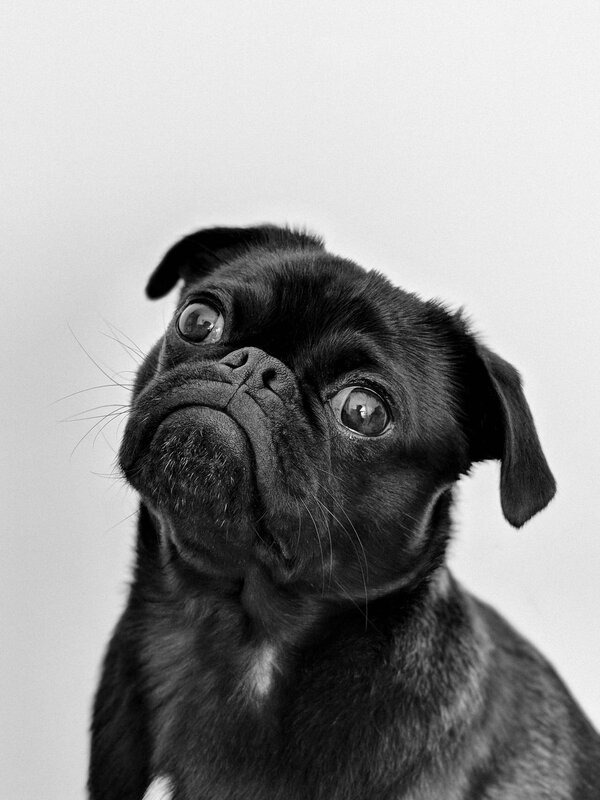 Whatever the case, capturing a puppy’s personality from behind a camera is no small feat. Puppies love to explore, romp and play. On most days, sitting stoically while smiling into your camera is simply not on their list of favorite things to do. They’ll lick and smile and slobber all over, just don’t expect them to behave perfectly in front of a lens. Fortunately, we are past the age of film cameras only. In years past when folks used film, photographers often shot countless photos hoping for at least a few good photos. People would take extra photos because they couldn’t see how their pictures were turning out. Today thanks to digital cameras and smartphones, you can see immediate results while shooting as much as you like. Deleting has never been easier so you no longer need to stress over blurry or strangely focused pictures. Instead, you can simply grab your camera and start shooting away to your hearts delight. At VIP Puppies, we value what a good doggy photo can bring to the table. 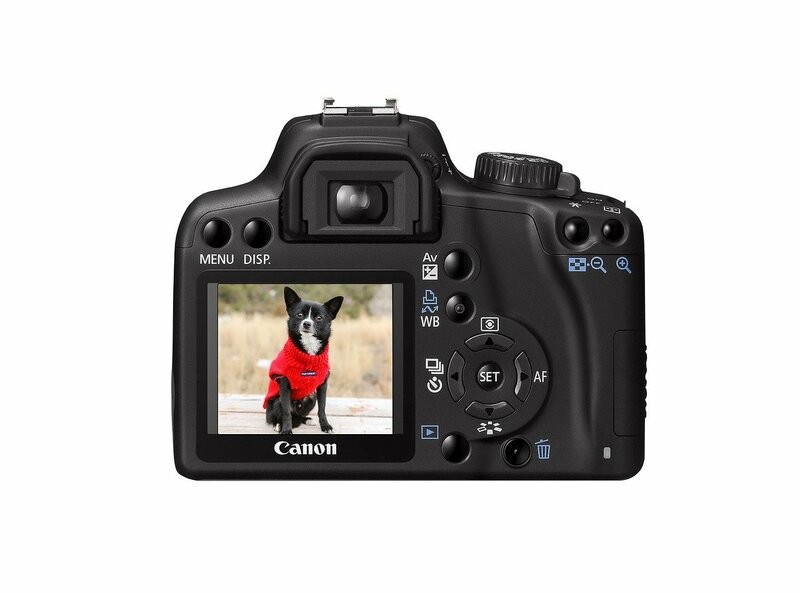 It can capture treasured memories, brimming personality, and pure canine beauty all with a single click. 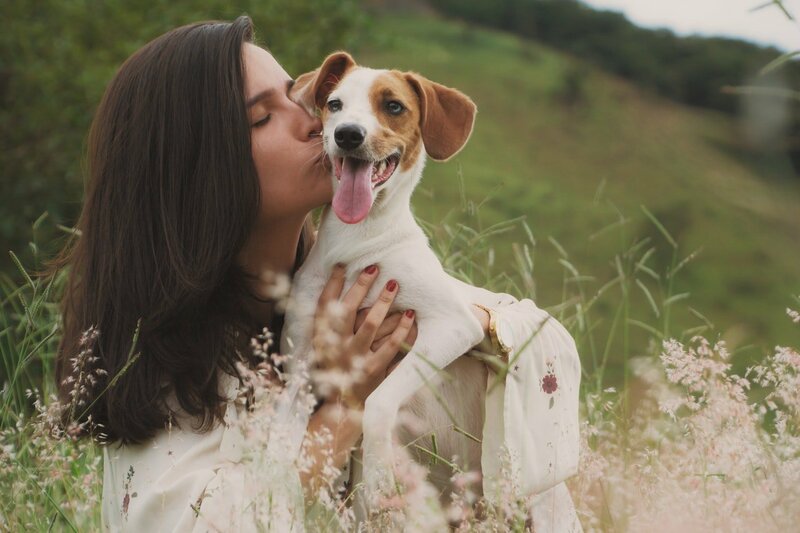 It’s no wonder that when done well, dog photos are the ultimate go-to for capturing favorite moments. Whether you are providing puppies for sale in Michigan or snapping pictures of your favorite fluff-ball, few things can replace a good dog photo. Not only are they precious keepsakes, but they are also a fun way to spread some pupper love. Whether you brag up your puppy on Facebook or share tweets about him/her daily, a photo goes a long way in showcasing your dog to the world. 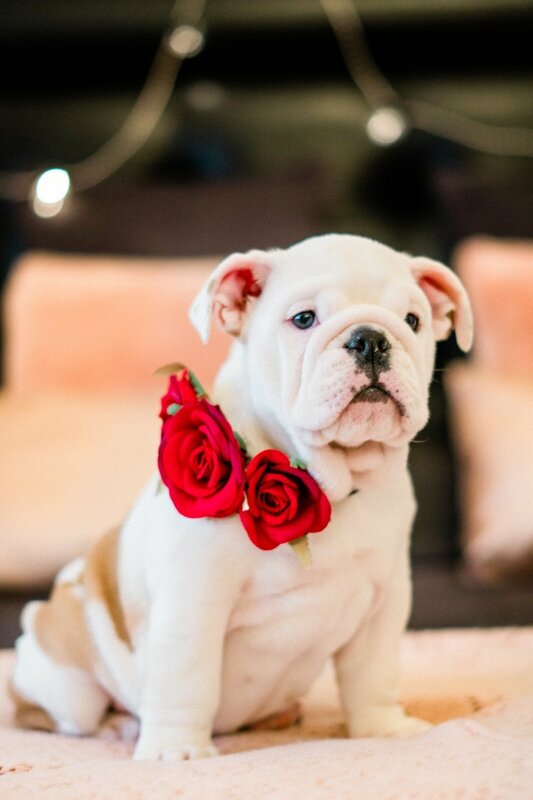 That’s why in today’s post, you’ll discover thirteen tips to rock new puppy photos with style. We’ll talk about things to avoid and things to do for best doggy behavior. You’ll learn what to look for in a photo, how to get your camera ready to capture the big moments, and so much more. So welcome. We’re glad you are here! First things first. Before scouting out locations and getting your puppy to smile, first get to know your camera. Will you be taking pictures with a deluxe camera, a point-and-shoot body, or your handy dandy phone? If you are using a point-and-shoot camera, set the camera to either portrait or sports mode. For moments when you are trying to capture your puppy on the move, the sports mode is perfect. It’ll allow you to capture your moving fur-ball without blurring any fast moving parts. Otherwise stick to portrait mode (unless you are feeling super camera-savvy, in which case the manual mode is always an option too!). Next, for both point-and-shoot as well as phone cameras, set your camera to burst mode. To a photographers delight, burst mode lets you take lots of pictures in a single second. Simply click once and boom, you have multiple shots. Then later you can come back and choose your favorite shots while deleting the rest. Puppies are often camera shy and it’s no wonder. From their perspective, a camera is like a giant eye staring in their direction. It feels disconcerting at best. 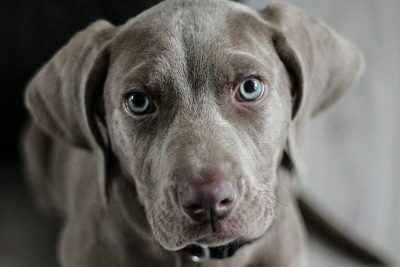 So before you try posing your little pup just right for the perfect shot, get your puppy comfortable with your camera. To do this, start by taking photos pointing away from your puppy to avoid direct confrontation. 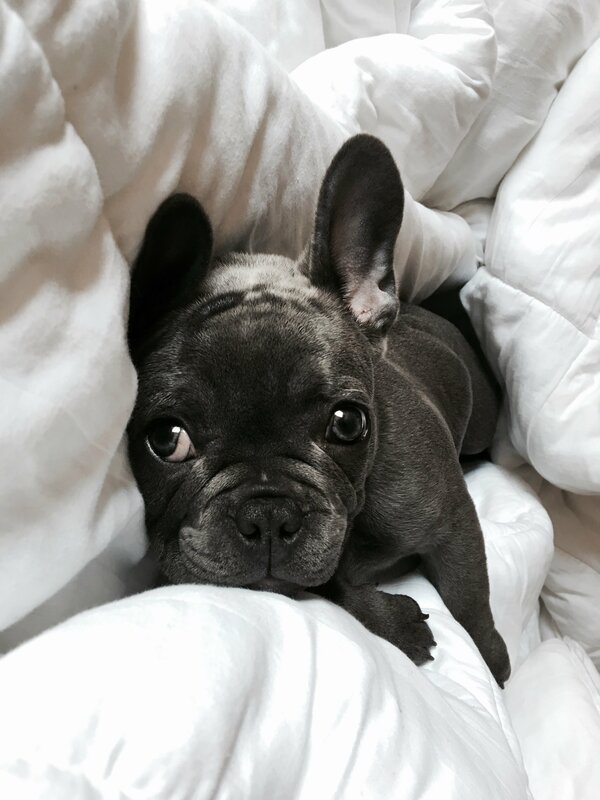 Snap pictures at random so your pup gets familiar with each click, and aim for a relaxed and playful atmosphere. After your puppy begins feeling comfortable with your giant camera eyeball, start clicking action shots of your pupper as he or she explores your shooting venue. As you shoot action shots, your puppy will become more comfortable with his or her environment and you’ll be able to capture exciting puppy moments. Once your puppy relaxes and begins feeling a little exhausted, then go ahead and snap those portrait shots. As you snap away on your camera, look for ways to capture super fun pictures of your puppy at ease. Whether your pup is running through a large grassy area, climbing rocks, or sniffing around studio equipment, it’s exciting to see a puppy’s personality come to life when given room to explore. So go ahead and schedule in time for your puppy to relax and enjoy your environment before trying to win over any canine smiles. Stunning dog photos are no small endeavor. For every jaw-dropping picture, there are countless unused, faulty, and blurry pics that never make it anywhere. Fortunately, you no longer need to worry about the expense of wasted film. You can take thousands of pics with no additional cost to anyone. Simply click, snap, and shoot some more. The more photos you snap, the better your chances are of getting that perfect Instagram worthy shot. Along the way, don’t stress the duds. Some photos will be blurry, others will have nasty shadows, and still others will display poor lighting. There will be odd angles and crazy expressions. Some photos you will love, others you can simply delete. Plus, puppies often have a short attention span. Being photogenic is the least of their concerns and they don’t really care if they go viral or not. Expressions, lighting, and angles are nothing they are going to stress over. So rather than waiting for what you think is the perfect shot, have fun with your puppy while snapping pictures all along the way. Sometimes our favorite shots are those most unexpected. Going hand-in-hand with the previous point, it’s also important to be patient while snapping photos. No, this does not mean storing your camera until that perfect shot presents itself. Instead, be ready for each shot while being patient with your pup and your surroundings. Perhaps your pup is having an off day. Your camera settings could be off, folks might be in your way, lighting could be casting some nasty shadows, and the list goes on. So go easy on yourself and avoid stressing out in front of your puppy. When you are relaxed, your puppy will feel at ease and be more likely to give you the shots you are hoping for. Always keep your camera with you when shooting puppy photos. You just never know when your subject will look your direction with that million dollar smile. Plus, stay ahead of your puppy by anticipating shots before they happen. 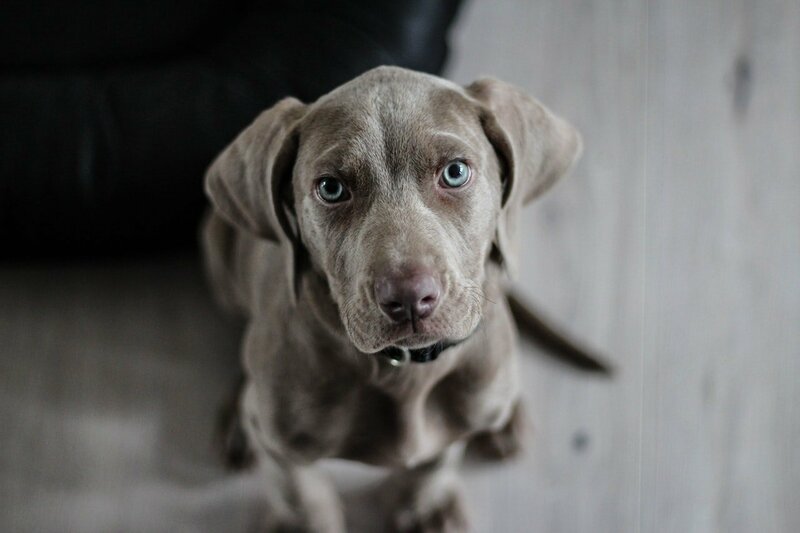 Have your camera settings ready, position your pup appropriately in your screen, and focus on your puppy’s eyes. Once you are ready for the shot, then grab your puppers attention and click away. Ever look at a stunning photo and wonder what’s so great about it? What is it that separates a mediocre photo from a jaw-dropping portrait? Chances are high that the rule of thirds is at play. If you are unfamiliar with the rule of thirds, learn about it here. When photographing a dog, aim to position the closest eyeball in the upper or lower quadrant of your frame. Then if you are ever unsure if you nailed good positioning, you can always crop later as needed. Shoot from above, behind, in front and below. Don’t get stuck always shooting from the same angle. Mix it up and capture your pup from different perspectives. In addition, give your pup some love by shooting on his or her eye level. Sure, you may need to stoop down or lie on the floor. However, when you get eye level with you fur-ball, your photos will feel more intimate and personal. Plus when shooting eye-to-eye, you will likely discover new details that you would have otherwise missed. Take pictures that highlight your pup’s favorite parts. You might zoom in on the nose or snap a picture of just the paws. What about your puppy is special to you? Why not capture it on camera? For best results, plan your photoshoots around morning or evening light. The light during these hours is gentle and perfect for warm, intimate photos. You might also opt to shoot pictures in the shade or on an overcast day while the sun slips behind clouds. Alternatively, if you are shooting your puppy indoors, position your pooch near a window or glass door where natural light streams through. And if possible, avoid taking puppy pictures in fluorescent or artificial lighting. Whatever the case, always avoid taking pictures in direct sunlight during the middle of the day. Photos shot during these hours often portray harsh lighting and even harsher shadows. This point can not be emphasized enough. 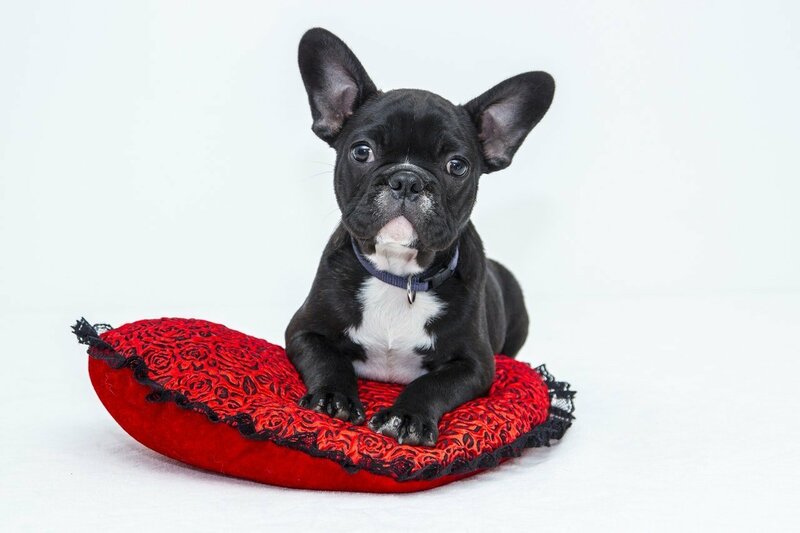 While it can be fun and exciting to include flowers or bowties and puppy gadgets in your puppy’s photo, caution against cluttering your photo too much. Remember your dog is the focal point of the picture. Anything else in the photo should enhance your dog as the subject rather than distract. If you are unsure about adding something to your photo, it’s probably best left out. Stick with clean and simple backgrounds. To create a solid color background, you could shoot in front of a sheet, stretch fabric in front of a wall, or spy a solid wall in a room with good lighting. Look for and remove any distractions from your photo. Are there toys cluttering the room? Is the kitchen sink stacked high with dishes? Consider what is behind your subject and plan to have it clean and neat. If things do happen to be in the background, then simply blur the background to make your dog really stand out as the center of attention. Notice in the following picture how, even though the background is not a solid color, the dog is still your main subject thanks to a blurred background. Avoid pointing a flash directly into your subject’s eyes. Unless properly placed, a flash will quickly create dreaded red eyes and harsh lighting. If you need to, plug in a few lamps instead to brighten the room. Once you are finally ready to start snapping pictures, consider treats your new best friend. A pup’s attention span is short and they are typically not fond of staring into the camera for long periods at a time. Give love to your pooch by rewarding with treats. Catch a smile on camera? Give a treat. Got your dog sitting still? Give a treat. You get the idea. Puppies and dogs love a good treat. So go ahead and use treats to your advantage while encouraging photogenic behavior. In addition to treats, try calling your puppy’s name to get his or her attention. Pull out a favorite toy, talk to your dog, whistle, and make a few weird noses to get your dog looking your direction. If you are feeling adventurous, you might even download a squeaky toy app to grab your little pup’s attention. Whatever you use, Vogelsang, an expert at dog portraits, recommends starting at a low volume first. This way the noise can catch your puppy’s attention without scaring them. 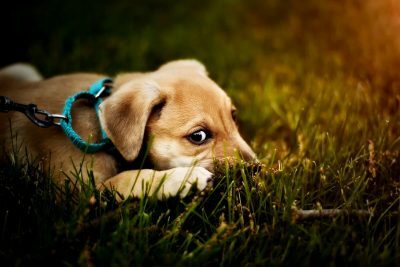 Consider each photo shoot as an opportunity to capture your puppy’s personality on camera. What does your pup enjoy doing? Perhaps it’s a walk through the park or a game of fetch in the backyard. 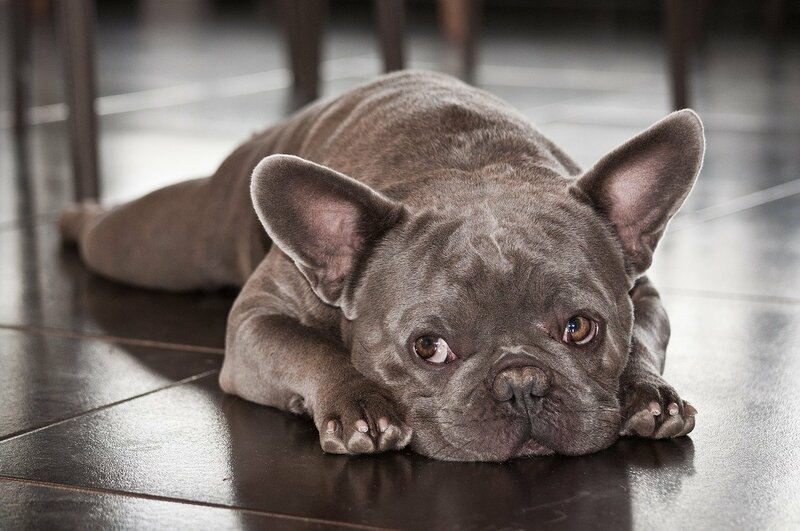 Does your puppy have a favorite toy or corner in the house where he loves to hide? 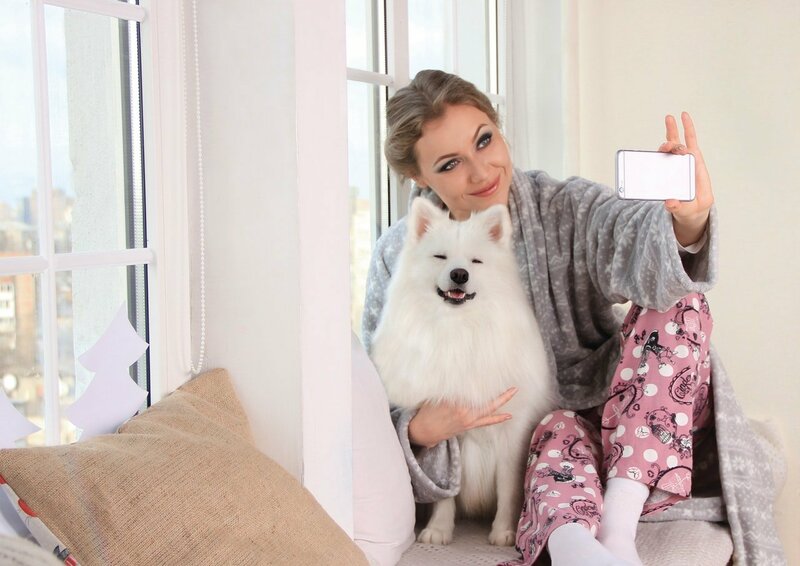 You could also capture moments from your dog’s daily routine. For example, why not snap a picture the next time your pooch grabs a drink from his water bowl? Or click away when the soap and suds call for another bathtime. Once your camera is filled with fun doggy moments, it’s time to edit. Go ahead and crop, adjust lighting, and do whatever you like to bring your doggy photos to life. Last but not least, let’s dive into a few frequently asked questions surrounding puppy photoshoots. Q. How do I get my puppy to sit still for a picture? A. First, teach your puppy to sit. 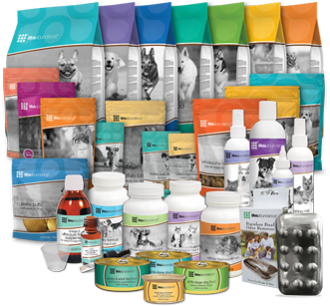 Begin by having your puppy sit for short periods of time and then rewarding with treats. 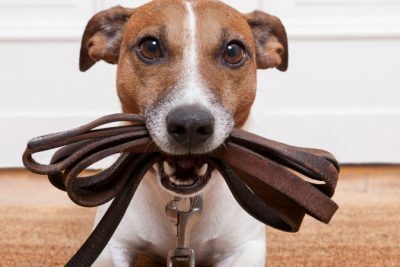 Over time, increase the time that your puppy needs to sit before earning a treat. After a little while start adding distractions while your puppy is sitting. Then teach a command that lets your pooch know it’s time to look at the camera. Once your puppy obeys, reward with a treat. Even if at first it’s just a quick glance, give a reward. Look for and celebrate small signs of progress all along the way. Q. How do I take a selfie with a dog? A. Be fast and get ready to click. Hold your phone at eye level or just above, and remember to pose with your pet, not he/she with you. Let your pet dictate the photos. 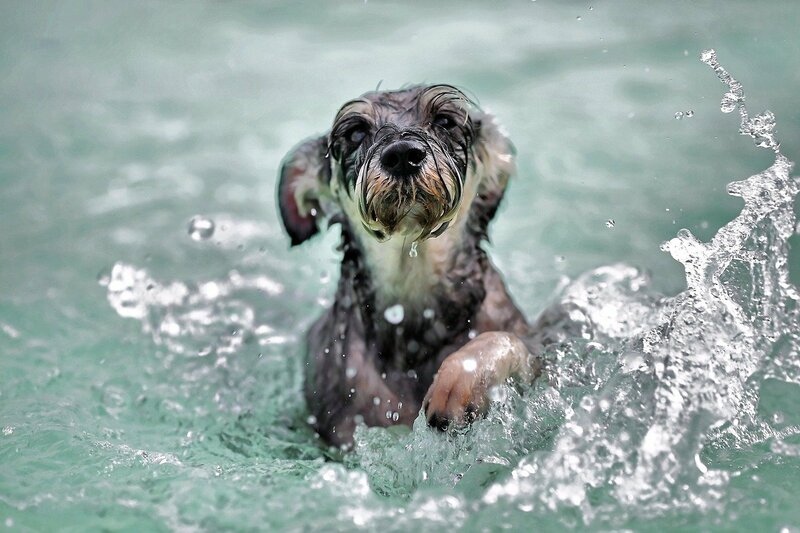 Give your dog the freedom to move around and look for ways you can jump in on whatever he or she is doing. In addition, you could grab a device to ease your photo-taking experience. There’s always the selfie stick to your aid. Or you might attach LED lights to the front of your phone to grab your pupper’s attention. Alternatively, you might try snatching a cellphone accessory. For starters, there is always the Woofie. You can use it to attach your dog’s favorite treat to your phone and ta-da! You’ve got your pups attention. Or there’s the Pooch Selfie to help dog selfies along. You simply mount the device on your phone and then attach your pup’s favorite ball or squeaky toy. Again, it’s sure to grab your fur-balls attention. Your dog isn’t concerned about being photogenic. Going viral is not his or her goal. So go ahead and toss in lots of treats, toys, and playtime to get your puppy smiling and behaving for pics. And remember, always stay calm, be patient, and have fun clicking! P.S. Already started snapping puppy pictures? We’d love to meet your pup in the comments below.